The situation in North Carolina has gone from bad to worse. The state's Democratic and Republican parties were already locked in a contentious, blistering fight over the GOP's efforts to curtail incoming Democratic governor Roy Cooper's powers, but now, one of the biggest and most controversial issues in the state is heating up, too. House Bill 2, the legislation which prohibits transgender North Carolinians from using the correct bathrooms for their gender identity, was meant to be repealed on Wednesday, but it wasn't. Here are nine responses to North Carolina's Bathroom Bill not being repealed, because to say people are upset about this is a massive understatement. Here's the basic idea: the city of Charlotte struck an agreement with the Republican-controlled state legislature to repeal its anti-discrimination ordinance in exchange for the repeal of HB2. And the city of Charlotte basically followed through — according to NPR, North Carolina Republicans have accused the city of not repealing the ordinance completely, a claim the Charlotte city council firmly contests. Obviously, it's bad enough that the idea of "compromise" in this case was that Charlotte would have to yank protections from its LGBT community in order to get the flatly discriminatory HB2 repealed. 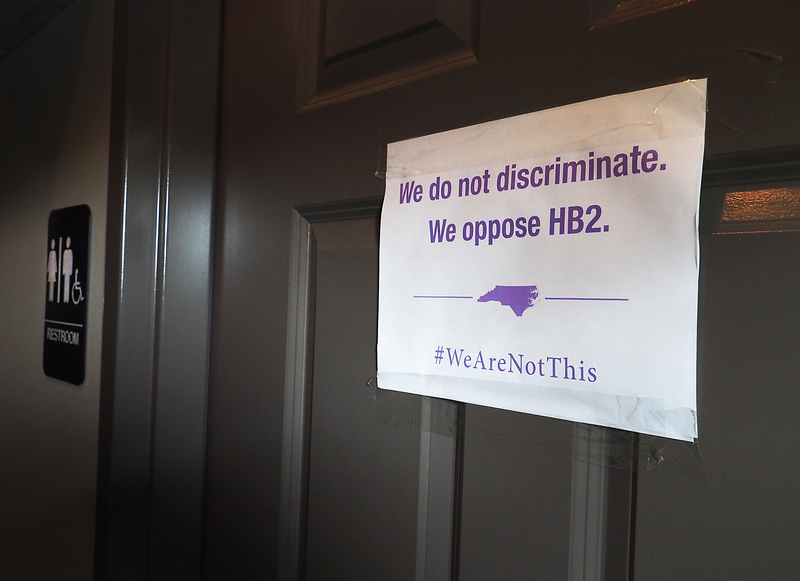 But the situation is now far worse, because the state GOP reneged on the deal on Wednesday, failing to repeal HB2 in a special legislative session. This means the law, which is largely perceived as being anti-LGBT, is still in full effect. Here are some of the reactions floating around social media right now, much of which are incensed by the fact that the state's Democrats believed the GOP would hold up their end of the bargain. 2. Can The North Carolina GOP Be Trusted? 5. The Deal's Being "Altered"
The GOP claims it's in the right, alleging that Democrats didn't fully live up to their side of the deal by repealing the anti-discrimination ordinance. The Charlotte City Council denies these claims. In short, it's now very unclear what the future of HB2 will be, and when North Carolina will finally get out from under it. One thing is for certain, however — the legislature's initial insistence on passing the law, and its failure to reverse it is costing the state hundreds of millions of dollars in boycotts and lost business from companies who oppose it.